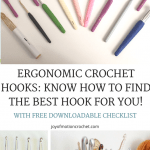 ERGONOMIC CROCHET HOOKS: WHAT YOU’LL LEARN MIGHT CHANGE YOUR MIND? 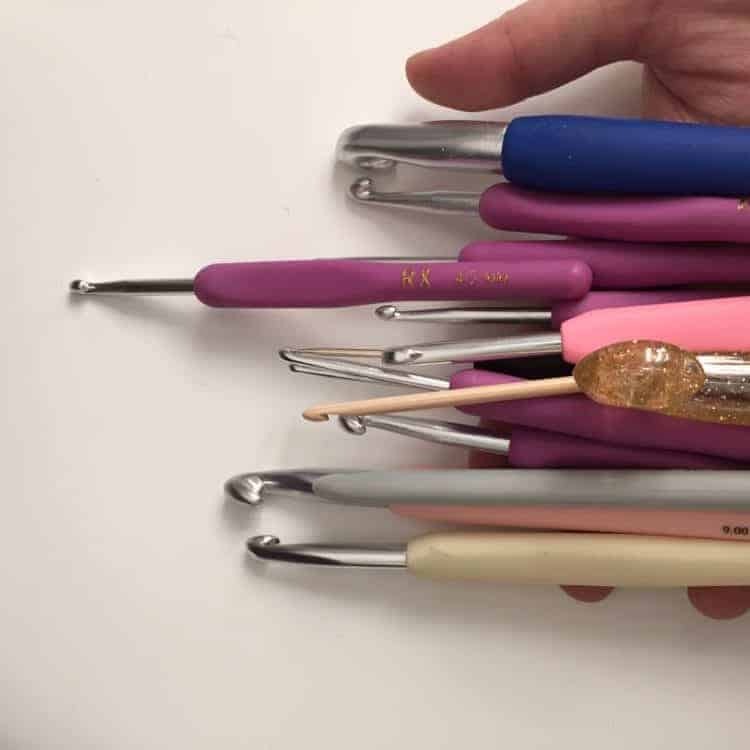 “What brand crochet hooks do you have on the picture there?” and so on. 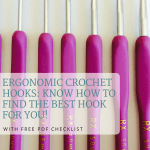 ERGONOMIC CROCHET HOOKS: WHAT DOES IT REALLY MEAN? 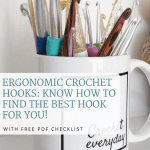 I’ve freely used the term ergonomic crochet hooks when writing this. However the way I use this term, might change the way you view it. The term “ergonomic” in short really means work (equipment) with the least amount of strain for the one that works. I view this as a goal for anyone, not just as a special measure for someone with pains and aches. With my background as a physical therapist, I’m really focusing on this in many parts of my life, crocheting is not an exception. This means I take finding the best crochet hook for me seriously. So should you. As an important conclusion, an ergonomic crochet hook for me, might be totally different for you. Wrists, hands, neck, shoulders & seating. Finally this means that the crochet hooks I love & recommend might be totally right for you, but could also be your worst nightmare. Continue to read to learn how to find the hook that’s right for you. When I’m buying crochet hooks I’m looking for “comfort”. The crochet hooks that aren’t straining & exhausting my wrist & fingers. 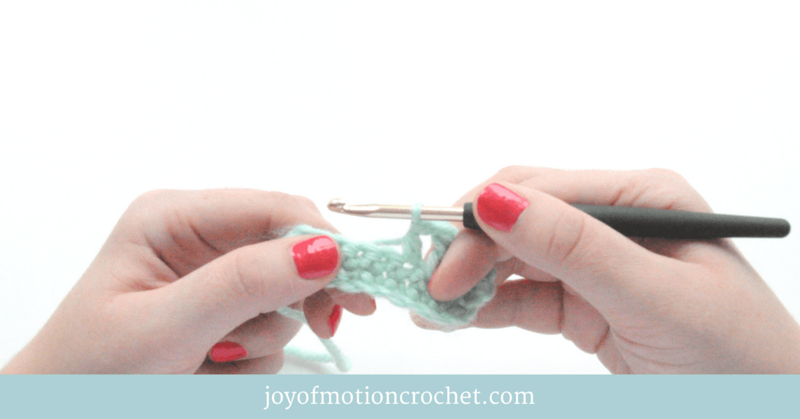 This is really important when you are crocheting as much as I am, & will help you skip any pain & discomfort. 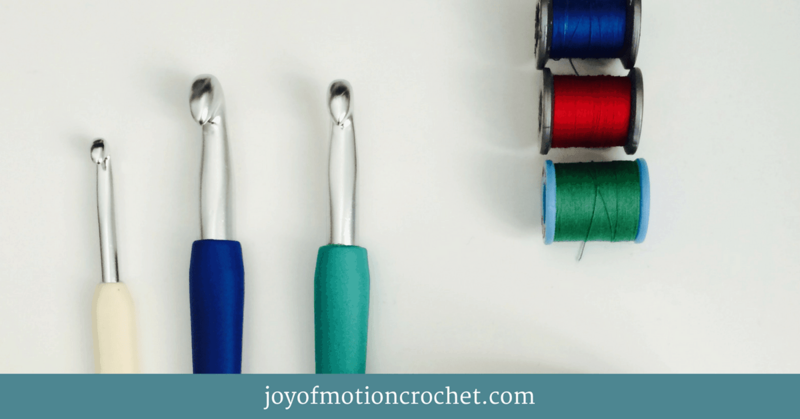 My experience in that regard is that I first felt more comfortable when crocheting with padded, soft crochet hooks. The ones that gives a little in the grip when you put pressure on them. A great example are Knitpro Waves Crochet Hooks that I use often & really love. I’ve got a whole set ranging from smaller hooks to the biggest witch are 12 mm in metric size. Later I found that weight of the crochet hook was a deciding factor for me, & I fell in love with some great wood crochet hooks. 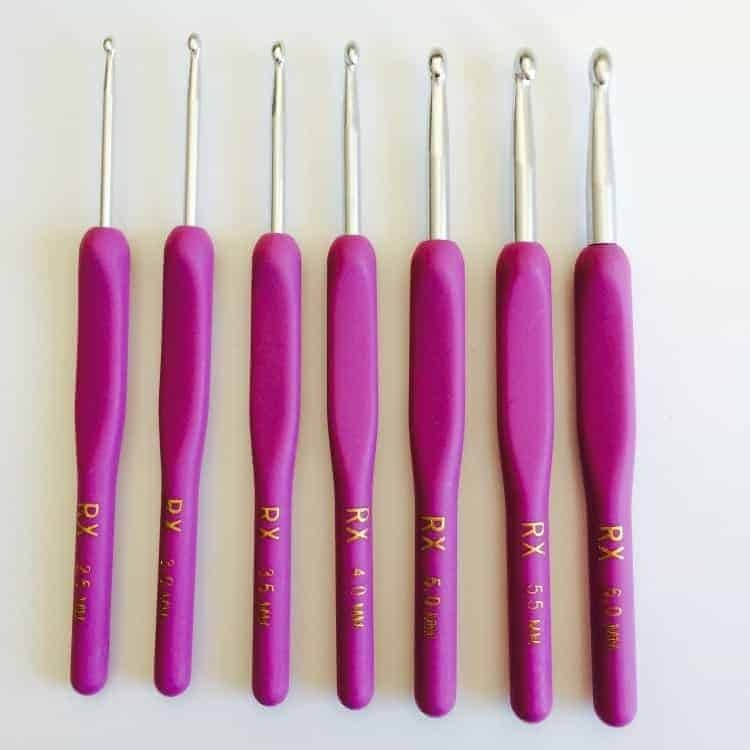 It was when I was gifted with the set of Symphonie Rose Crochet Hooks, also from Knitpro. It actually opened my eyes to that there might also be more than one type of crochet hook for me out there. Resource: Learn more details about those crochet hooks. When crocheting you’re putting a lot of strain on your hands, wrists, shoulders and neck. This is also affected by how you sit while crocheting. 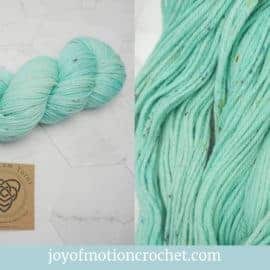 You might get strains going all over & this will not motivate you to keep crocheting for a long time. Even though you might be addicted & thus able to continue, it’s not good for you in the long run. 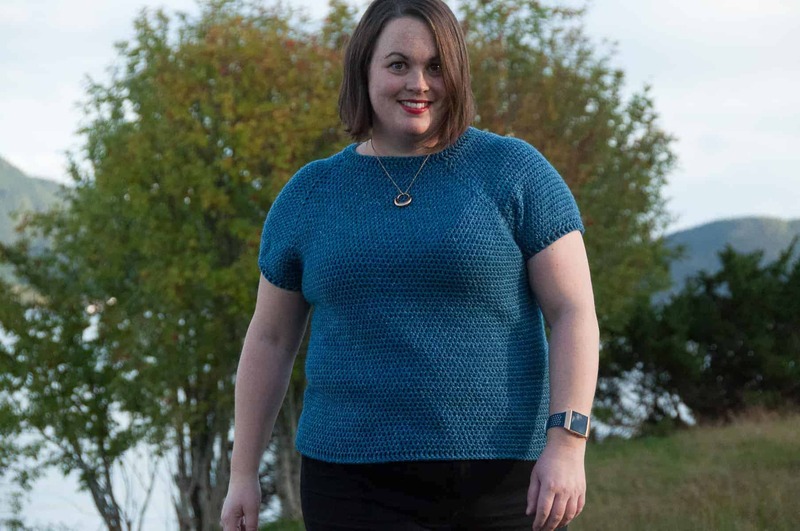 Here’s what you should think about to not strain your wrists, hands, neck, shoulders while crocheting. Find a chair or sofa that feels comfortable. Make sure you can use some kind of armrest if you tend to raise or strain your shoulders & neck. A great resource is to get some pillows to put under your elbow to use as armrests if you don’t have any, not to high or low, but just so that you can relax the shoulders & neck. 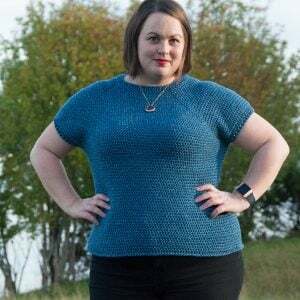 Next you should think about how supported you prefer your underarm to be. 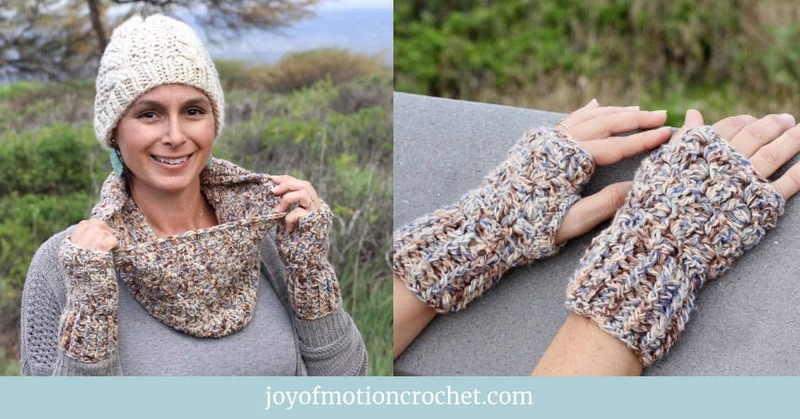 Do you like crocheting where you move more than your wrist? 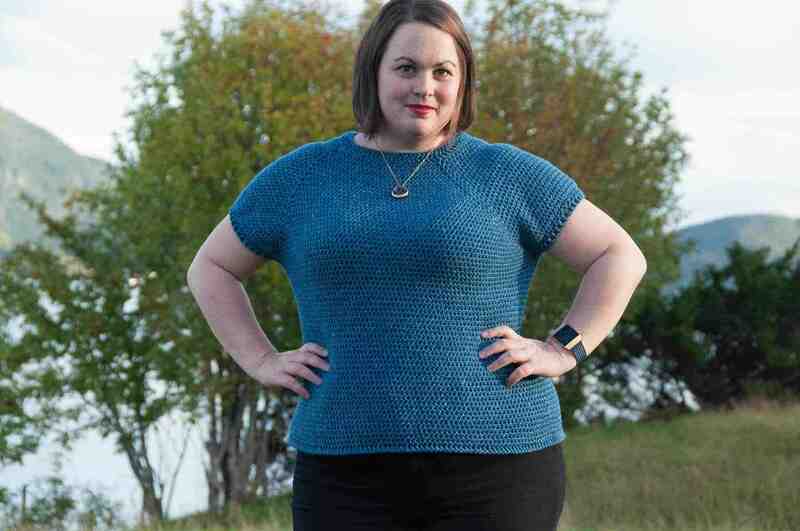 Or do you crochet where you isolate your shoulder, neck, over- & underarms, where only the wrists work? You should play a little around with this to see what actually feels best for you. As you might find that you like both. 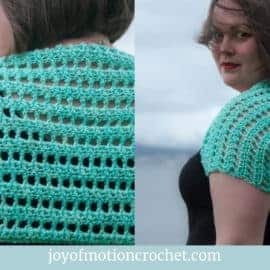 You should also try this with different crochet hooks & you might realize how big difference the type of crochet hook makes for this. Hey! There’s not one final answer here – it’s truly yours to find. The decision on what type of support you preferred for your underarm, also makes a big difference for your wrist. Consequently you should also think about how fast your wrists get tired. Do you feel any kind of strain? A solution then might be to use more of your underarm too. Finally your hands is hugely dependent on the grip of the crochet hook & how the grip is designed. Learn more in step 2. 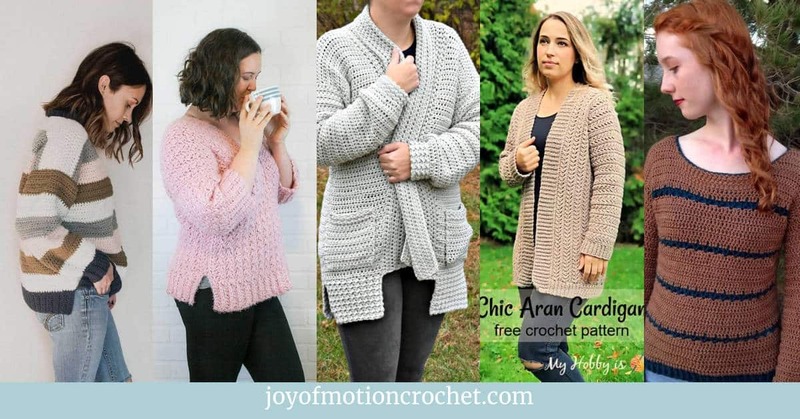 The important thing to think about when it comes to comfort is the way that you are holding your crochet hook. There is several ways & mostly “personal” ways to hold them. I’m actually holding my crochet hook in a way that gives my forefinger lots of strain, & that’s really the first & foremost reason why I like the padded & soft hooks. (You can see in the picture how the hook has lots of pressure against my forefinger). 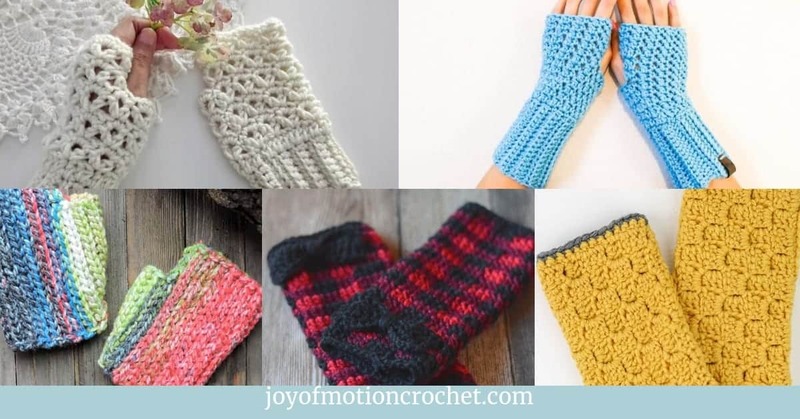 If you are holding the crochet hook as if they are pinching it between the thumb & forefinger, might have a completely different preference when it comes to choosing hooks. 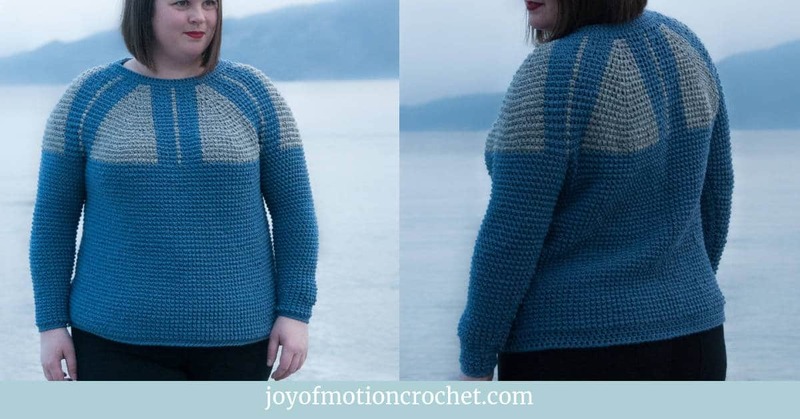 I’m suggesting that you find a crochet hook to explore how you’re holding yours. Could you change it up to make it more comfortable for you? 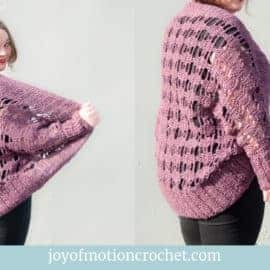 The next question might then be: Should I use a round or flat crochet hook? Now I’m thinking about the grip. In my experience this really depends on the size of the hook. For me it’s really most comfortable with flat hooks for the smaller ones, & I’m thinking the bigger ones are better more rounded. I have a feeling that if you are using a pinch grip you’ll have the best experience with the flat hooks. You can get a combination too. These are rounded in the back & flat in the front. This might be the right choice for you. 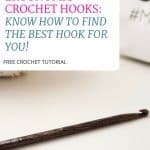 The final step to finding the crochet hook that’s right for you, is to think about your crochet technique. 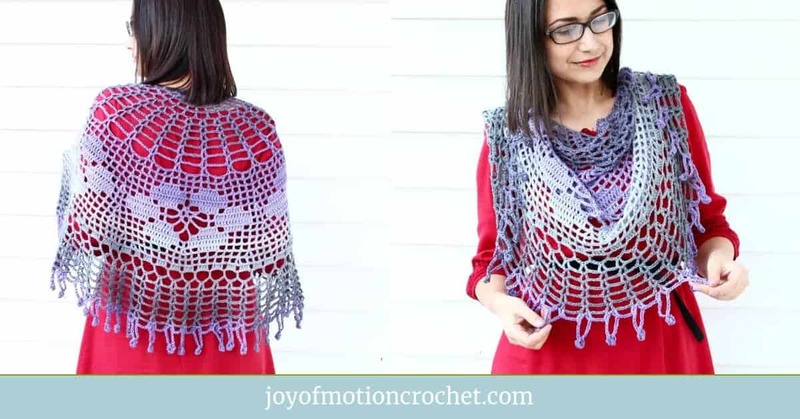 The first two steps was all about how your crocheting affects your shoulders, neck, arms, wrists, hands & what grip is the best for you. 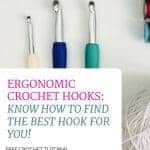 This last step is going to help you figuring out how you crochet technique affects your preference or whats your ergonomic crochet hooks. Crochet techniques is often personal & different. It truly depends on your experience, who thought you & how fast you crochet. 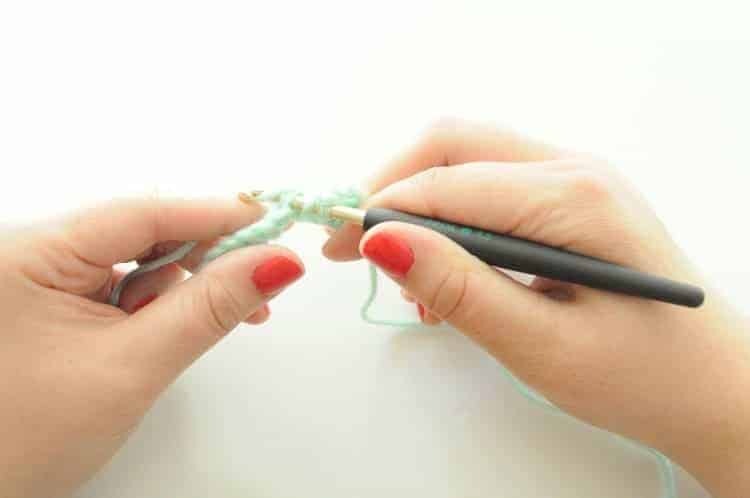 Those might also affect how hard or loosely you hold your crochet hook, that again do affect those 2 previous steps. As I started your tutorial, I said it’s not a easy answer on this. But I’d like you to play around changing up your technique & speed, to see how this affects how you hold your crochet hook. You shouldn’t do this on a big project, where the result end up looking totally different, but rather make a test square while you try this. 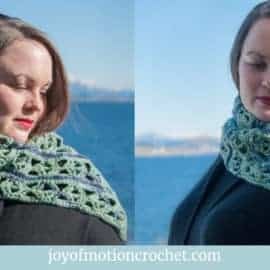 You might find that you could change things up a bit to don’t feel any strains or reduce any tiredness by developing & changing up your crochet technique slightly. Finally I’d like to summarize the findings from steps 1-3. 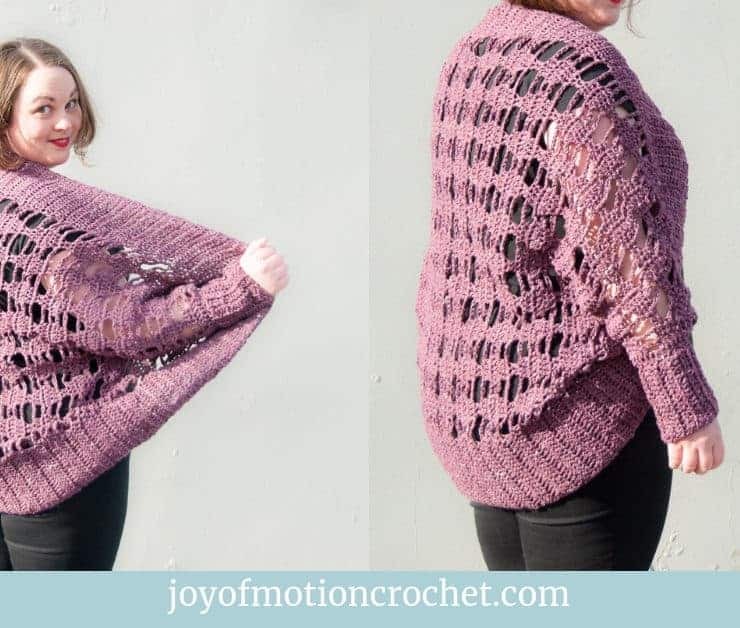 What did you find affected you the most when it comes to seating & support, & how did it affect the way you hold your crochet hook? Did you end up changing anything? 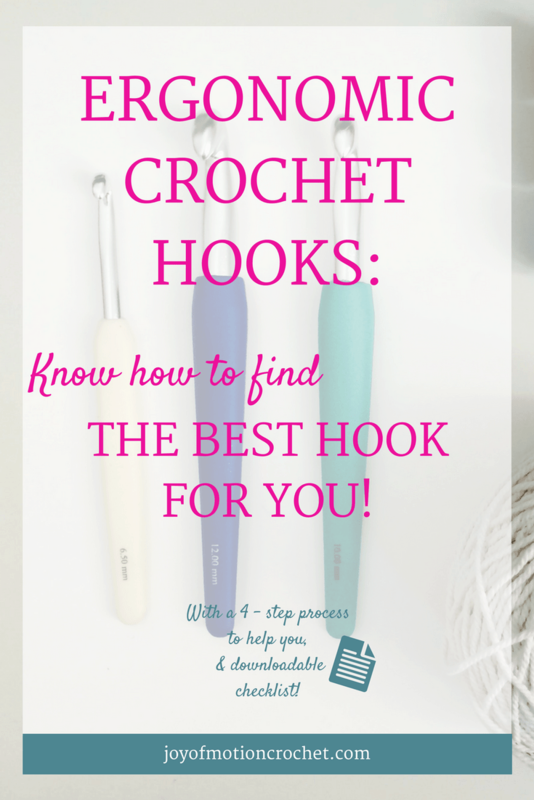 Did you try more than one type of crochet hook? With a flat or round grip? Are you pinching the hook or do you hold it differently? Did you end up changing anything? 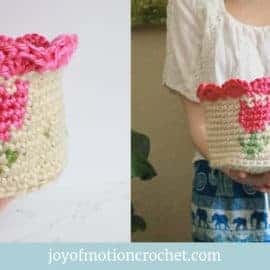 What did you find when you played with your crochet technique? 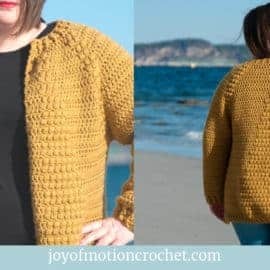 Did this affect how you hold your crochet hook?Did you end up changing anything? 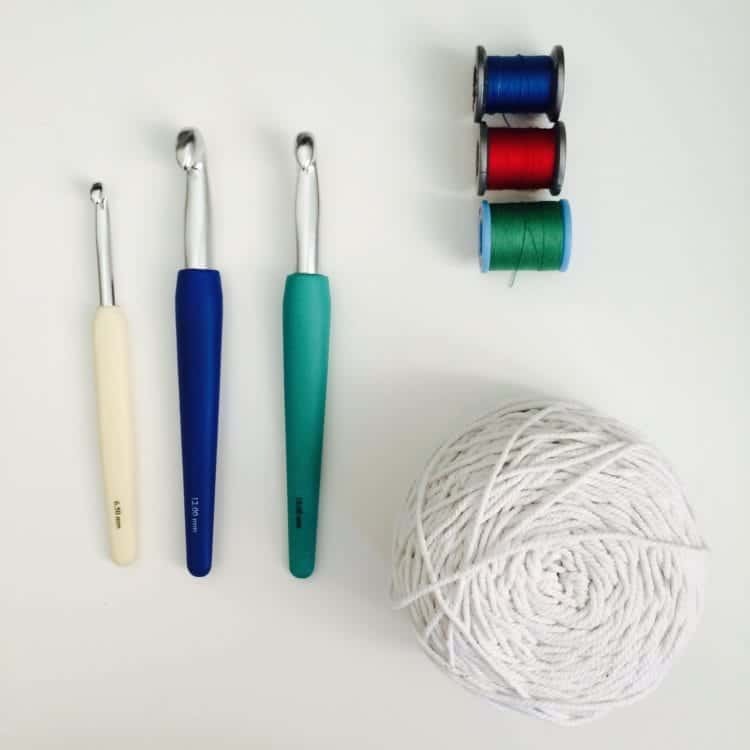 FOUND WHAT YOUR BEST CROCHET HOOK: WHERE TO PURCHASE IT? 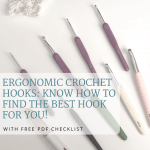 If you’ve followed the 3 steps above, I’m sure you’ll have a better idea what your ergonomic crochet hook is, or the best crochet hook for you. 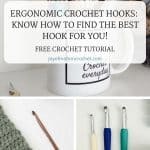 Finally I’d like to suggest that you invest in the right hooks for you, in order to be able to continue crocheting longer, saving your wrist & hands for strains & skip any fatigue. 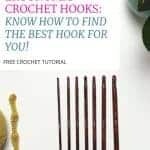 I’ve got a couple of great resources where you can find great crochet hooks, & remember to think everything through in detail before you make any purchase. Is this hook right for me? Does it qualify for my needs? However please also visit your local shop to maybe be able to try & get the feel of the hook too. Below you can see my Waves Crochet Hooks from Knitpro. 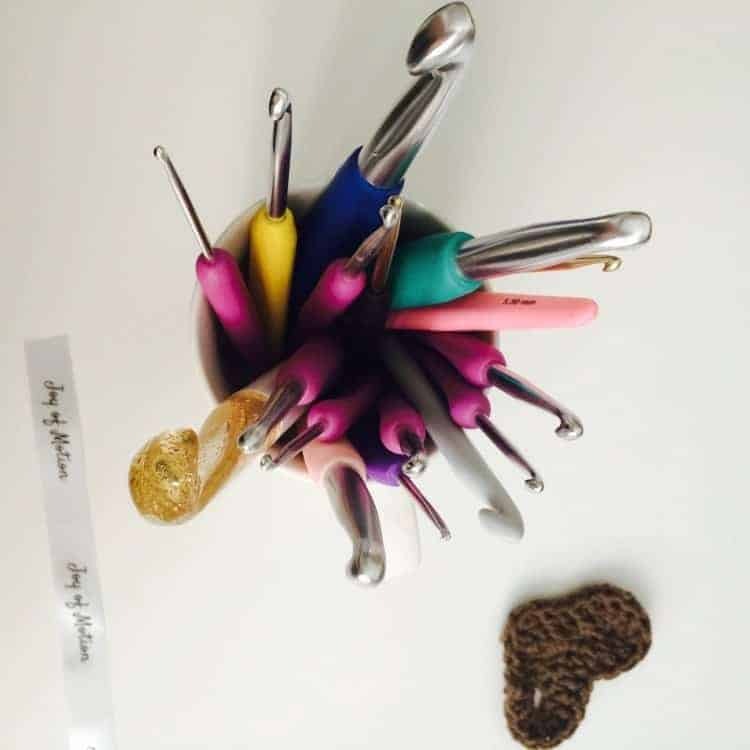 You can also read more about my favorite crochet hooks on the crochet resources page + find other valuable crochet essentials. Great information as always – thank you!